Amidst the web of England's old hilltop rises, France's majestic country châteaux, Germany's sprawling Gothic palaces, Canada's revival-style hotels and America's high-society retreats, there's an endless map of them to explore. Formidable stone bulwarks and soaring medieval keeps, romantic palaces and regal mansion homes that ooze with opulence from every nook and cranny; the castles of the world are so varied in their appearance and character that finding the best ones can be a daunting task for any traveler. Amidst the web of England's old hilltop rises, France's majestic country châteaux, Germany's sprawling Gothic palaces, Canada's revival-style hotels and America's high-society retreats, there's an endless map of them to explore. 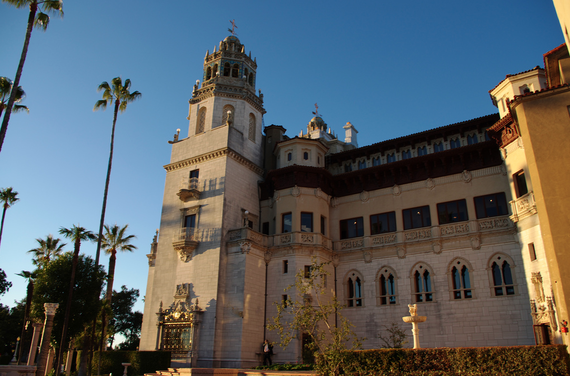 Here's a list of Hopper's top ten castles, which we recommend no self-respecting history buff, architecture-lover or castle enthusiast should miss as they pass across the globe. Nestled amidst the verdant hills of Baden-Württemberg and crowning the great old town of medieval Heidelberg, this sprawling German schloss is another of the country's most remarkable romantic sights. Today visitors are invited to wander amidst the endless ruins and pretty gardens that lay between the bulwarks, surveying the old keep and scaling the parapets that overlook the city. 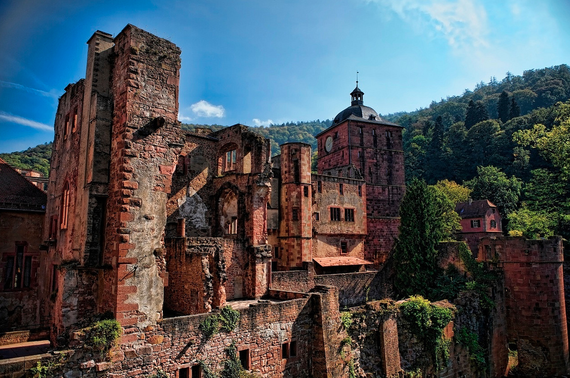 Inside, great collections of German art and treasures from Heidelberg's golden age remain, while some of the ruined sections of the original outer fortifications are strewn across the grounds, remnants from when the castle was destroyed by a lightning-bolt in 1764. Château et jardins de Villandry, by moutoons. Since its construction in the late Renaissance, the Chateau et Jardins de Villandry has seen some towering figures of European history pass through its elegant hallways. Once the home of France's formidable Le Breton family, the property passed into the hands of Napoleon himself after 1789, finally becoming the property of the emperor's own brother Jerome. 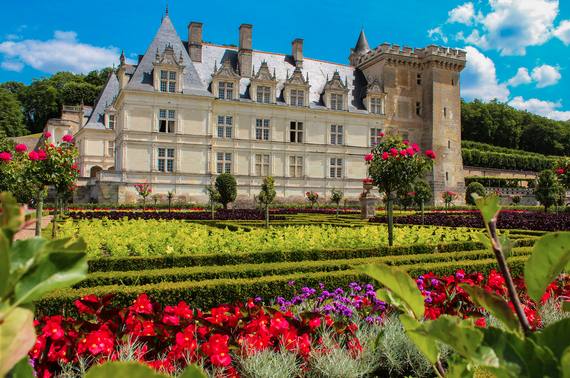 But historical luminaries aside, the real pull of the Chateau et Jardins de Villandry is its sprawling grounds; a patchwork of labyrinthine mazes and blooming flower gardens that seemingly go on forever! Situated right in the heart of Cardiff city center, this sprawling fortification and regal manor house is one of the most defining monuments of Wales' capital city. 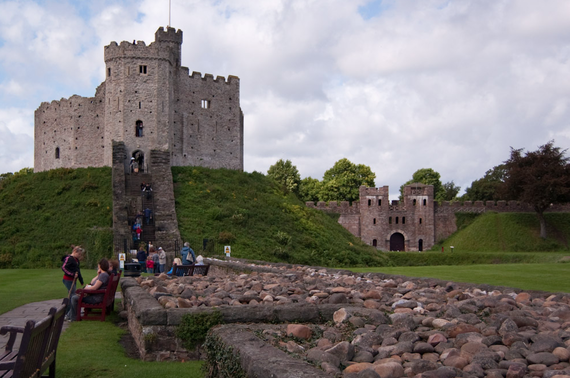 Inside the newer outer walls, the original Norman keep and moat can be seen towards the northern end, while subsequent additions in the 15th, 16th and later 18th century, gave rise to the larger lodging rooms that now cluster around the west and south gates. Today, daily tours take visitors through the regal rooms of the Victorian manor house, across the original lines of the Roman fort, and into the ruined Norman keep of the 11th century. Fairmont Le Chateau Frontenac, by archer10. Canada's answer to Bavarian Neuschwanstein remains one of the most dramatic sights in all of Quebec City. It towers high above the town, a dominating mix of gothic turrets, fairy-tale spires and dramatic buildings. 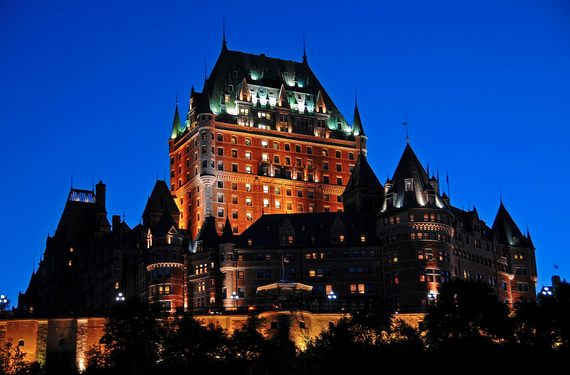 Since its construction in the late 19th century, Chateau Frontenac has stayed true to its purpose, serving travellers to Quebec with luxurious accommodation in the heart of town. In the process the building has gained National Historic status, appeared in Hitchcock movies and is widely known as the most photographed hotel on the planet! 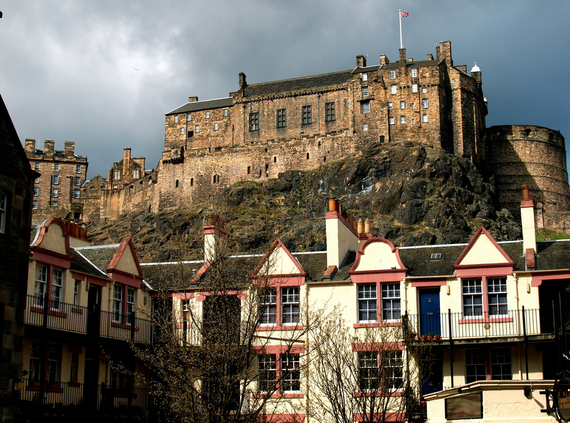 The historical origins of Edinburgh's formidable Castle on the rock are shrouded in mystery; it's mentioned sporadically in the epic poems of the 6th century, popping up in the regional annals occasionally, before finally coming to the fore of Scottish history when Edinburgh established itself as the seat of monarchic power in the 12th century. Today visitors can wander up to the castle at the end of the Royal Mile, pass through the Portcullis Gate amidst the honorific statues of Robert the Bruce and William Wallace, and tour the various fortifications that have stood here for so many centuries. One of the most-visited sites in southern Ireland is also one of the country's most pristine examples of medieval fortification. Standing stark and formidable in the heart of the Blarney grounds, the great Muskerry keep and adjoining towers shoulder their way above the oak tree canopy, casting their shadow over the mysterious rock formations of the Druid's Circle and Witch's Cave. 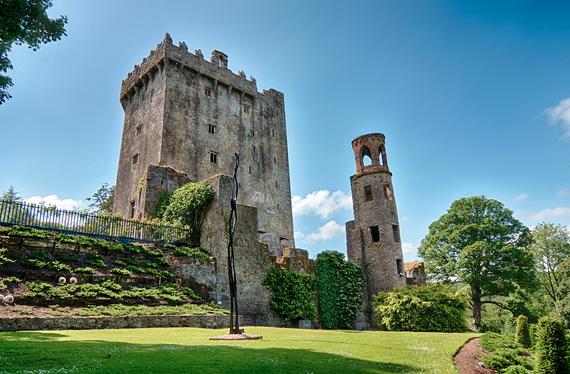 But Blarney's real pull comes from its uppermost bulwark, where the legendary Blarney Stone now hangs awkwardly some distance from the ground. Don't leave without giving it a kiss, for it's said the stone endows those who do with the gift of the gab! 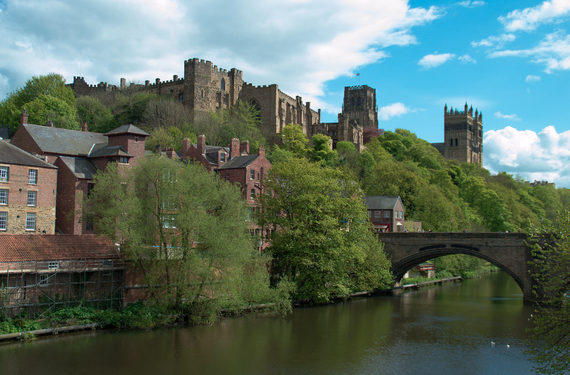 Once a bastion of English defence in the north, the original structures of Durham Castle were first erected at the command of William the Conqueror in the late 11th century. These quickly developed into a complex of stone fortifications and formidable battlements, with the great hexagonal keep on the crest of the hill coming to dominate the old town centre. Today, the site enjoys UNESCO status and is famed for its fantastic level of preservation, long history and undeniable architectural beauty. Fagaras Citadel, by Antoine 49. 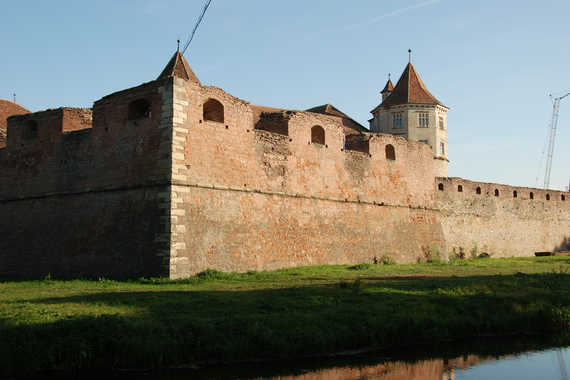 Situated right in the heart of central Romania, the Fagaras fortress in the town of the same name represents one of Eastern Europe's largest and best-preserved feudal Castle complexes. Unquestionably the most-visited site in the medieval old town of the city, the castle was once the kingpin of regional power. Throughout the 17th century, the citadel was expanded continuously, reflecting the growing wealth of a centre that exercised control over much of Transylvania and central Romania. Neuschwanstein Castle, by - peperoni -. Besides the castles, the awesome beer is another great reason to visit Germany! 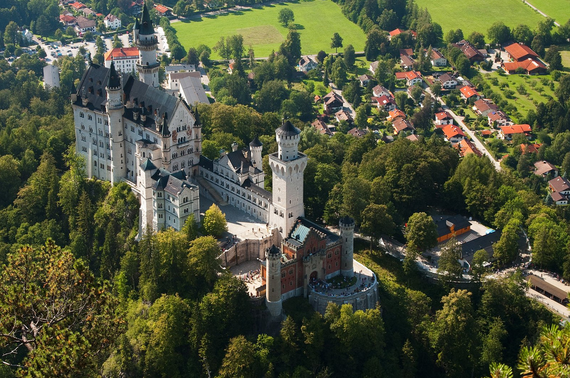 Hailed as one of the most romantic sights to behold the world over, the spires and turrets of Bavaria's iconic Neuschwanstein Castle have soared above the village of Hohenschwangau since they were first raised by the idealistic Ludwig II in 1892. For historians and artists the dramatic building has become synonymous with the Romantic movement of middle Europe, and it's easy to see why. Those who behold the great panoramas of the Alpsee valley, or just the dramatic white walls of Neuschwanstein itself can often be whisked away into the fairytale world of a Wagnerian opera or a Disneyland of wizards, kings and mysterious legends that rarely fails to enrapture.